Workers’ Compensation Insurance, it’s one of those areas of the law that most people don’t know about until a workplace accident has occurred, and by then it may be too late. For medical providers it can be lucrative due to high volumes of patient referrals. Further, because Workers’ Compensation Law REQUIRES the exhaustion of conservative care, physical AND massage therapists are generally embraced and not shunned like in the PIP world. For doctors who still employ massage therapist but have them working under a different license, this is an area of practice that you may want to explore. 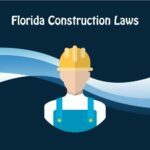 Florida law no longer requires a workers’ compensation certification however medical providers will still have to apply to be included in individual workers’ compensation carrier networks and may be required to undergo some form of training for them. Under Florida Statute 440 aka the Workers’ Compensation Law (“WCL”), normally if an employer has four (4) or more employees then they must carry workers’ compensation insurance. Failure to carry workers’ compensation insurance could result in a business being shut down by order of the state and/or the employer not only fined but personally held liable for the injured workers medical expenses. 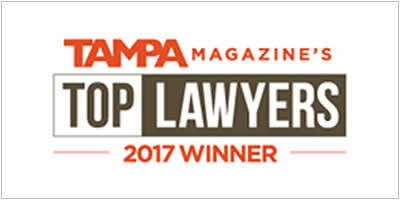 While some Employers elect to have an exemption to workers’ compensation so as not be considered an employee and skirt the four (4) employee rule, that is a dangerous proposition as the employer’s business and/or sometimes the actual owner may be civilly liable for an employee’s injury on the job. Depending on what type of business an employer engages in also determines what kind of rights both the injured worker and what kinds of treatments you may get reimbursed for under the WCL. First responders for instance are presumptively covered for almost all medical conditions under Florida’s Heart and Lung Bill. Travelling employees like Medical Courier’s or Marketing Reps are covered under WCL for accidents which occurred while coming and going to work and lunches. Exposure cases to chemicals, black mold, etc., are generally non-compensable under Florida Law however some state employed teachers are allowed to treat. They are not covered under the WCL for lunch and/or going/coming to work. They however may be covered for any mandatory meetings at which their employer requires their attendance. Including recreational ones such Christmas parties, etc. 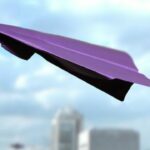 So long as you have received an authorization letter from a workers’ compensation carrier you are free to treat the injured worker. If however you received a termination of authorization letter due to either an IME letter or some other reason, then any further treatment rendered will not be reimbursable unless the patient retains an attorney. Beware of the one hundred and twenty (120) day rule – Workers’ compensation carrier has the right to allow treatment up until one hundred and twenty (120) from the reporting of the accident. Should the carrier decide to deny the claim on the one hundred and twentieth day, no further medical treatment will be paid for will not be reimbursable unless the patient retains an attorney. Chiropractors should also know that any treatment in excess of 24 visits STARTING from the accident forward for a total of twelve weeks is not deemed medically necessary and therefore not reimbursable. Example: If within 12 weeks of the accident date a chiropractor treats a patient 36 times, or 3 x’s a week for twelve weeks, only 24 visits will not be deemed medically necessary and most likely not reimbursed. Example: Treatment begins ten (10) weeks after the accident, then anything more than two (2) weeks of treatment will not be deemed medically necessary and most likely not reimbursed. Medical care that has not been authorized. There are many reasons why an injured worker may have been denied medical care under WCL. The accident was not reported within thirty (30) days of it occurring. An injured worker has thirty (30) days to report an injury to his employer/insurance company. Notification of the injury to the employer is sufficient. 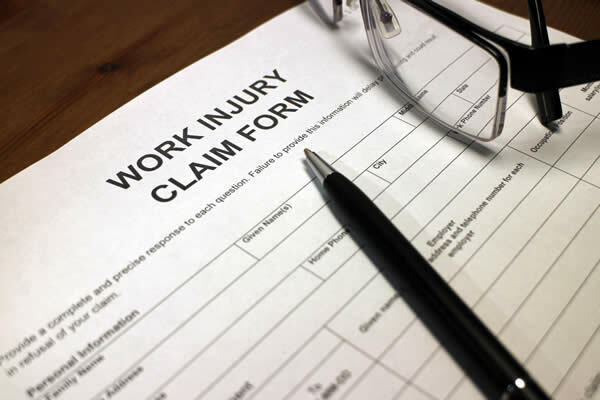 The employer has a duty to fill out a Notice of Injury AND submit it to its workers’ compensation carrier. If the employee reported the accident however in this scenario but the employer did not notify the insurance company, the patient will need to contact to retain an attorney. Employer’s refusing to notify its workers’ compensation carrier. Employers are often afraid to report injuries or incidents to their workers’ compensation carrier for various reasons. So they will often approach doctors with promises to pay for an injured workers’ medical bills in cash only renege once they learn the employee has suffered a serious injury that is going to costs a lot of money. Some employers also wrongfully believe that if they can trick the injured worker into not reporting the injury to the insurance carrier for thirty (30) days then the injured workers’ claim will be denied and the employer will be off the hook, however the accident need only be reported to the employer. In all of the above scenarios WHERE TREATMENT WAS NOT AUTHORIZED A MEDICAL PROVIDER MAY NOT BILL HEALTH INSURANCE WHERE THEY KNOW THE ACCIDENT OCCURRED ON THE JOB. IT MAY HOWEVER ACCEPT CASH PAYMENTS. An attorney will need to be retained in order to get payment IF SERVICES WERE RENDERED so that the patient and/or doctor can get reimbursed. Bills for workers’ compensation treatment in an active, authorized case where the patient has not reached MMI may only be submitted to the workers’ compensation insurance carrier. Should a medical provider send the patient a bill where treatment is authorized for the full amount of medical care, then a medical provider may have violated the Federal Debt Collection Practices Act and/or the Florida Consumer Collection Practices Act which my colleague Mr. Brumley, Esq., will now address.